Heath. As essential and appreciated as it is, you’ll be pleased to know Heath contains more than just the hospital. With attractively designed houses and a number of restaurants, Heath is getting more and more of a name as a desirable place in which to live. Special mention should go to Whitchurch Road, a long strip in which you’ll find fantastic eateries, including innovative burger bar Got Beef; French patisserie Cocorio; Pan-Asian flavours of The Crispy Duck; exotic Indian at Mint and Mustard; and the taste of Greece within Aegean Restaurant. Not bad going! Lisvane. Lisvane is among Cardiff’s most affluent districts, and it’s easy to see why. Its approximately 3000 residents, very few in relation to the rest of Cardiff, have crafted the area into somewhere to be proud to live, featuring quaint village shops; natural parks; war memorials; Scout halls and churches. Lisvane, where many properties are worth over £1 million, has definitely mastered the balance between contemporary living and quintessential Welsh traditions. Llanishen. Aside from being known as the birthplace of the Tax Offices and holding the tallest buildings in northern Cardiff, Llanishen has a less industrialised side to it as well. This extends to the impressively 60 acre-wide Reservoir, a beauty spot linking the northern hills to the Bay in the South. If a life of leisure appeals to you, head to Llanishen. Here you’ll find Cardiff Sailing Centre; Llanishen Leisure Centre (the city’s largest); Skate Park and Rugby Club. Plus a fair few pubs and hotels to recover from all that strenuous exercise! Thornhill. Separating Cardiff from Caerphilly, Thornhill is among the area’s more modern districts, having really come into its own from the late 1980s. Consequently, it’s still ever-developing and evolving, making it a fun, fascinating place to live or pop into. Overlapping into the more rural areas as opposed to the industrialisation often associated with our capital city means Thornhill has some great countryside and, in our experience anyway, with great countryside comes great pubs. If you’re around, make sure to get acquainted with The Traveller’s Rest, for wholesome Sunday lunches with all the trimmings. Llandaff. 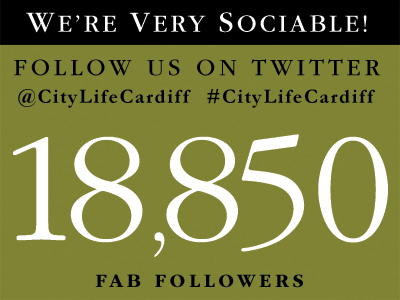 Keeping us on our toes is the fact that Llandaff officially makes the cut as a city in itself. Almost rivalling St Davids as Wales’ smallest city, Llandaff’s culture dates back to the 6th Century AD, when its striking cathedral was established as a prominent place of worship. Llandaff is proud of its Welshness – over 15% of its population actively speak the language, and BBC Wales is also headquartered here. If you’re from Cardiff, you’ll probably know Llandaff’s good name for schooling, but we’ll reinforce the point anyway. Independent Howells, which counts Roald Dahl as among its alumni, is Llandaff-based, and on the topic of education, so is much of Cardiff Metropolitan University. Radyr. 4 miles north-west of the city centre, Radyr is slightly further afield, but still contributes widely to the Cardiff experience. Neighbouring similarly attractive communities such as Whitchurch and Pentrych, Radyr is another area which history fans are bound to find a source of fascination. Each time period seems to have revamped it further – the Stone Age; Normans; Middle Ages; Stuart period; WW2 and now of course the modern day. Radyr Woods is even a Site of Natural Conservation Importance, and you’re also in easy access of the Taff Trail, so it seems Radyr is an ideal place to head to in contrast to more urbanised side of life. Saying that, Radyr Court is one of the best pub/bar/restaurant hybrids – their quiz nights go down a treat. Rhiwbina. Wondering where to find the quaint cosiness more associated with rural village life, while not straying too far from the hive of activity that is central Cardiff? You’ve found it in the form of Rhiwbina. Really championing the Welsh, an example being the farmers’ markets that are in town every Friday morning, Rhiwbina is a pretty area comprised of independent shops, from butchers and bakeries, to the less-edible bridal boutiques. Whitchurch. Charming Whitchurch makes for a truly lovely experience, whether you live there or are just a reluctantly fleeting visitor. Since becoming its own parish away from Llandaff Cathedral in 1845, Whitchurch has honed its independent village feel despite being classed as a Cardiff district. It could also be crowned the winner when it comes to brunch locations. From the gorgeous Sweet Cafe and Bakery, which only opened this year yet is already a roaring success, to Fino, one of Cardiff’s delicious trio of Lounges, Whitchurch combines style and comfort in the best way possible. Tongywynlais. Less of a suburb and more of its very own village, Tongywynlais is placed within the Taff Valley, meaning it bears the benefits of the relaxed countryside lifestyle, while being just 5 miles north of Cardiff city centre. The small area, which the Taff Trail cycle route passes through, is resided in by fewer than 2000 people, but its authentic charm, thanks to pubs, golf courses and Forest Fawr, is clear to see. Plus we can’t go without paying homage to Castell Coch. The Gothic Revival architecture, in place since the 11th Century, makes for a cultural day out with a twist.